Below you'll find a variety of ways to get involved with Newton Fest; from being a food vendor, taking part in our local music showcase, taking part in the "Cool Cars" Car Show, showing your grill skills, or showing us your creative side! Project AWAKE is hosting the 2019 Newton Fest Vendor Fair. They are currently accepting registration for those wanting to participate as a non-food vendor during Saturday, June 8, 2019. From area businesses to non-profits wanting to share information about their organization to individuals wanting to sell crafts, home-based businesses (Tupperware, Avon, etc.) Newton Fest is a great opportunity to showcase your business or organization. For non-profit organizations wanting to participate and are not selling food items, the fee is waived with proof of non-profit status. Would your business or organization like to be a part of Newton Fest? Newton Fest is currently accepting registration for those wanting to operate a food/concession stand during Saturday, June 8, 2019. ​The event is a great opportunity to showcase your delicious delicacies from your restaurant or for non-profits to raise some extra money. Please note we do our best to ensure a variety of foods are available and so vendors are accepted on a first come basis. Check out full details on the vendor application form. Newton Fest is excited to once again host a Bill Riley Talent Search during Newton Fest. The talent search is at 6 p.m. on Thursday, June 6 at Maytag Bowl (301 S 11th Ave W; Newton, Iowa 50208). 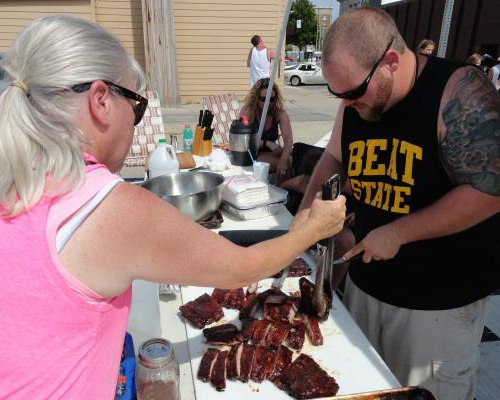 ​The outdoor show will serve as a qualifying show for the Iowa State Fair competition. ​Entry form to be posted soon! 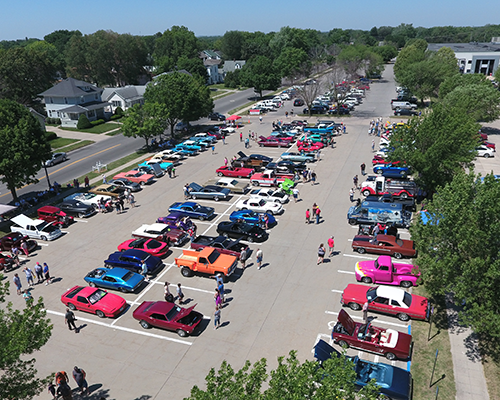 Gearheads, Hot Rods and Brody Burners mark your calendars cor Saturday, June 8 for this year's "Cool Cars" Car Show, an eclectic event during Newton Fest. The show will be at the Newton DMACC Campus south parking lot. First arrive, first park! Register now by calling the Newton Chamber office at 641-792-5545. Oh, yeah... NO entry fee. Questions? Contact the Newton Chamber of Commerce at director@experiencenewton.com​. Open to all Jasper County residents, this fun event will feature teams of four competing in wellness games involving brain games, food facts, heart health and muscle strength. ​Questions? Contact Brenda Steenhoek or Kristina Winfield at 641-787-9224 with any questions. Want to share your musical talent? Then Newton Fest is a great place for you!! Fill out the application to be considered for the 3rd annual Local Music Showcase. The showcase, hosted by 301 Studios and Newton Fest Committee, will take place on Saturday, June 8, in the courtyard at Legacy Plaza.